Next up on Nang we are pleased to bring a really positive 3 year association with West Country Situation. Next up on Nang we are pleased to bring a really positive 3 year association with West Country, UK based collective Situation to a fruitful crescendo. After 4 singles, numerous remixes and a couple of Beach Disco mixes we are extremely proud to present the sister release "Revisions" to the debut album from Situation "Visions". This vinyl release features the remix highlights of the Situation album and some brand new exclusive remixes to boot. Situation is live, DJ and studio collective made up of the core members Ben Vacara, Mr Mulatto, Dom Thompson, James Payne & Paul Walker, with Vocalists Lauren Rimell & Andre Espeut(Defected & Fools gold records). The crew got together in 2008 through a shared love of house, disco, funk & soul music. Based in & around Stroud & Bristol in the UK, the crew released their first Edit based single on Disco Deviance with huge support from DJ's including Greg Wilson, who featured their edits on a Radio One essential mix & Resident Advisor mixes. Their Edit "Pushin' On" which was a rework of an Alice Russel/Quantic track got snapped up by Tru Thoughts & released as an official remix. They then formed their own "Situation" label in 2009 with a string of successful edits, establishing themselves strongly within the worldwide edit scene, which they still continue with. They have now gone on to write more & more original compositions (as well as edits) & so in 2012 formed their new label "Situationism" which concentrates on original compositions & compilations from themselves & other established & up & coming artists. Proceedings open up with the big nu-disco grooves of "Get To Know Me" with UK based Hot Toddy on the remix. Driving bass guitar and bags of dance floor sass. Next is the hypnotic oscillating groove of "Barcelona" with Psychemagik working their synth big room groove. Keeping the remix groove high and UK based next up is Wolverhampton based Peza with his pulsating synth bass lines working themselves into "Standing Here Baby". Next up on side B is some ubercool Nordic Russian beats with 5 Reasons on the melodic and sweeping remix of "Stay With Me". "Secret Situation" gets a big room dance re-rub from Pete Herbert next before South American Phunktastike takes on "Stay With Me" with big room aplomb. The grooves are bold, strong and incessant. Sportloto put their Russian spin on "Here Comes The Sun" adding layers of leftfield synth quirk to the jazzy guitar and lazy summer vocal. Vampire Disco strip back the beats on "Standing Here Baby" turning in an offbeat twister. Next up UK based French man Jerry Bouthier teams up with Italian studio partner Andrea Gorgenio to deliver the pop house groove of "Like A Medicine". Bitter Suite turn in their remix of "Visions" with their 80s funk inspired Bitter Suite Re-rub. "Good Life" receives a slo-mo synth strip down from Siberian based Acos Coolkas. Their trademark Rhodes and bleepy synth taking a centre stage appearance. To round things off "Work It Trough" gets an album closing stripped down night-time remix. 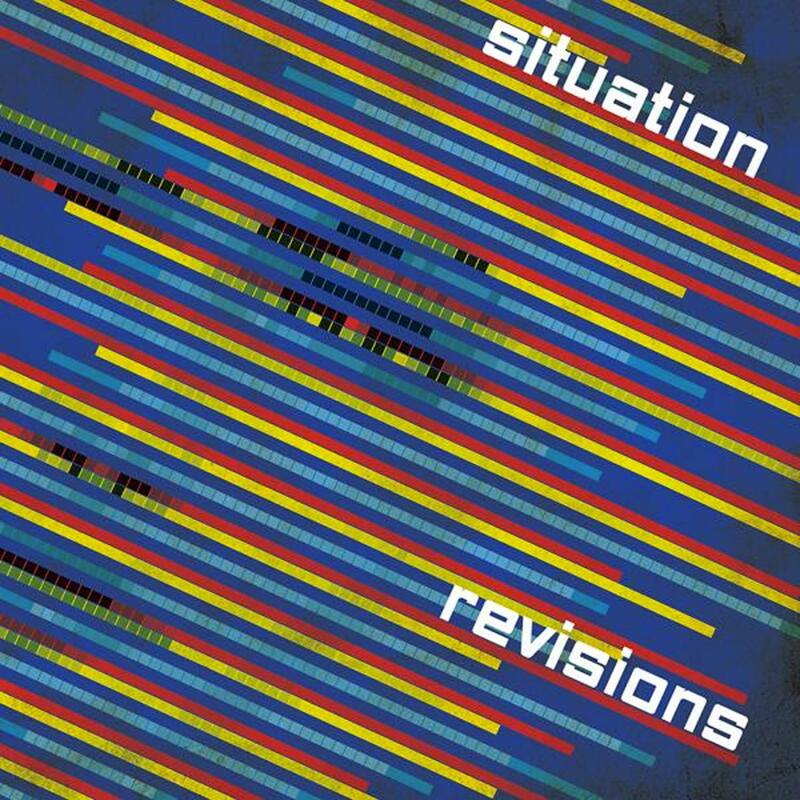 The Situation "Revisions" remixed version is also released with its sister album "Visions" which features the original versions of all these fine remixed tracks. Written by Andre Espeut, Ben Vacara, Steve Wilson, Dom Thompson & James Payne. Produced by Situation. Remix & Additional Production by Hot Toddy. Published by Dharma Songs. Written & Produced by Ben Vacara, Lauren Rimell & Stephen Wilson. Vocals by Lauren Rimell. Remix & Additional Production by Psychemagik. Published by Dharma Songs. Written by Andre Espeut, Ben Vacara, Steve Wilson, Dom Thompson & James Payne. Produced by Situation. Remix & Additional Production by Peza. Published by Dharma Songs. Written by Andre Espeut, Ben Vacara, Steve Wilson, Dom Thompson & James Payne. Produced by Situation. Remix & Additional Production by 5 reasons. Published by Dharma Songs. Written by Ben Vacara, Steve Wilson, Dom Thompson & Lauren Rimell. Produced by Situation. Vocals By Lauren Rimell. Remix & Additional Production by Pete Herbert. Published by Dharma Songs. Written by Andre Espeut, Ben Vacara, Steve Wilson, Dom Thompson & James Payne. Produced by Situation. Remix & Additional Production by Phunktastike. Published by Dharma Songs. Written by Lauren Rimell, Ben Vacara, Steve Wilson, Dom Thompson & James Payne. Produced by Situation. Remix & Additional Production by Sportloto. Published by Dharma Songs. Written by Andre Espeut, Ben Vacara, Steve Wilson, Dom Thompson & James Payne. Produced by Situation. Remix & Additional Production by Vampire Disco. Published by Dharma Songs. Written by Andre Espeut, Ben Vacara, Steve Wilson, Dom Thompson & James Payne. Produced by Situation. Remix & Additional Production by Jerry Bouthier & Andrea Gorgerino. Published by Dharma Songs. Written by Kevin Saunderson. Produced by Situation. Vocals By Lauren Rimell. Remix & Additional Production by Acos CoolKas. Published by Copyright Control. Written by Andre Espeut, Ben Vacara, Steve Wilson, Dom Thompson & James Payne. Produced by Situation. Trumpet by Emma Ordonez. Trombone by Katie Vacara. Remix & Additional Production by Mr Mulatto. Published by Dharma Songs. Written by Lauren Rimell, Ben Vacara, Steve Wilson, Dom Thompson & James Payne. Produced by Situation. Remix & Additional Production by Tonbe. Published by Dharma Songs.